With all of the anticipation surrounding the global unveiling of the 2013 Chevrolet Malibu (which is just hours away at the time of this writing), the latests design study from Buick seems to have taken the back seat — but that’s not to say it isn’t worth a look. 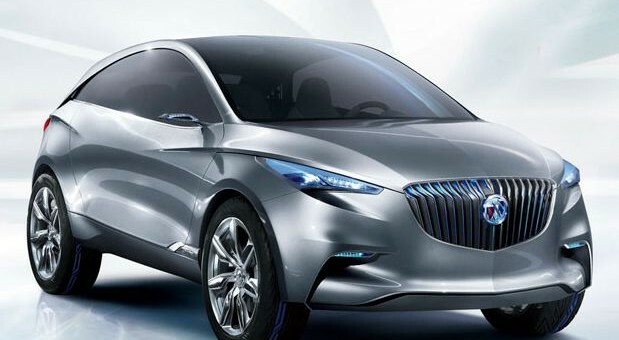 What we see from the Buick Envision concept SUV (and we use that term lightly) are hints of what to expect from the Tri-Shield in the future both in terms of design and technology. The major highlights of the exterior show several design advances in the lights and sharpened features, while still maintaining the “waterfall” grille design the brand has become known for. The scissor-style doors — just two of them — slide upwards instead of outwards while at the same time get away from the conventional B-pillar design. All of that, riding on a chassis made of aluminum, magnesium and carbon fiber and 22-inch wheels. Under the hood is a concept plug-in hybrid system featuring a 2.0L direct-injected four cylinder engine mated to an eight-speed automatic transmission and two electric motors that will see some recharging through the solar panel on the roof. 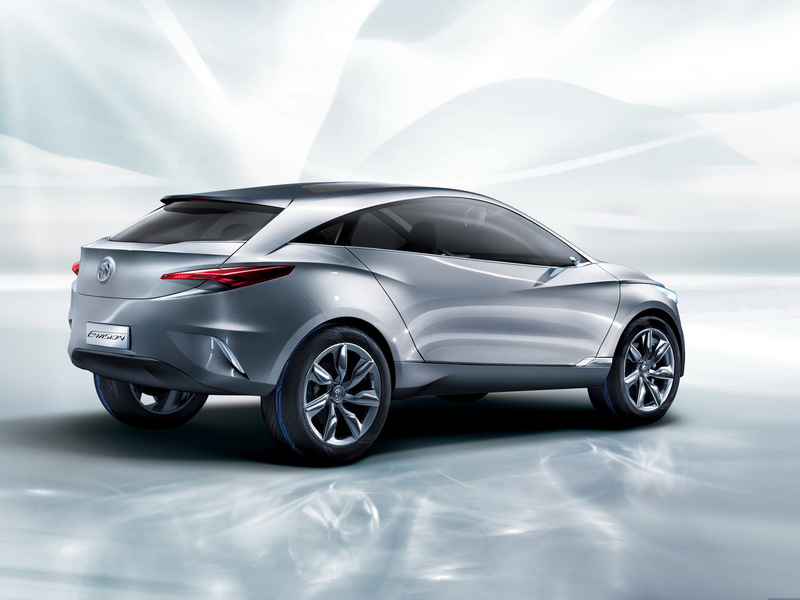 Altogether they will powered the car’s concept all-wheel-drive system as it rotates motionless on its display. But considering what’s going on inside the Envsion, it’s going to need every Watt. Inside the Envision’s cabin is a fresh take on how its driver sees information with a concept Heads-Up-Display system that displays information onto the windshield in 3D as well as the next generation in Bluetooth technology that allows users to connect to the Internet with their phones. Expect the Envision to enter production in… probably never. But expect several styling and technology cues to be borrowed from the vehicle going forward. 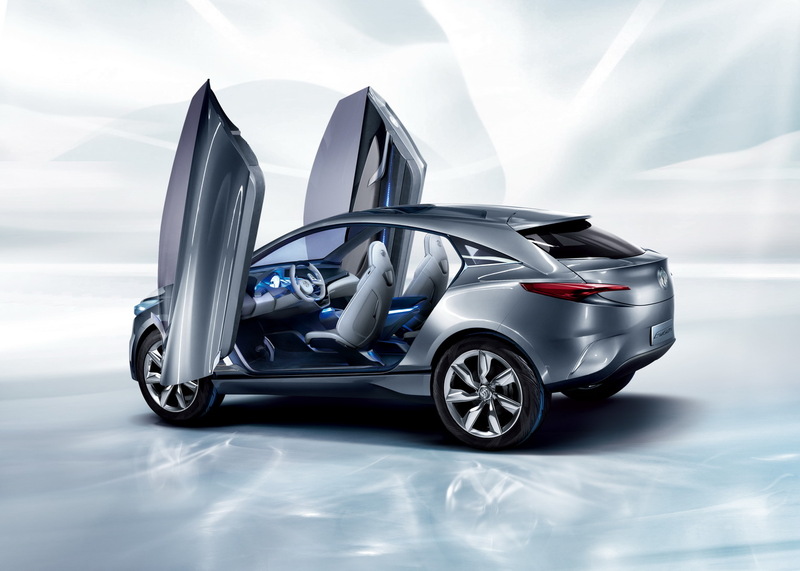 Or maybe it will be an all-new addition to the Buick crossover portfolio in the not-too-distant-future. Next story Poll: Will The 2013 Malibu Sell More Than The Current Model? Here’s a quick 4-door version I whipped up. It appears to me that this concept is a highly stylized preview of the upcoming Buick Encore CUV (or that’s the name for now). Does anyone know when the Encore is slated to come out? Looking good! 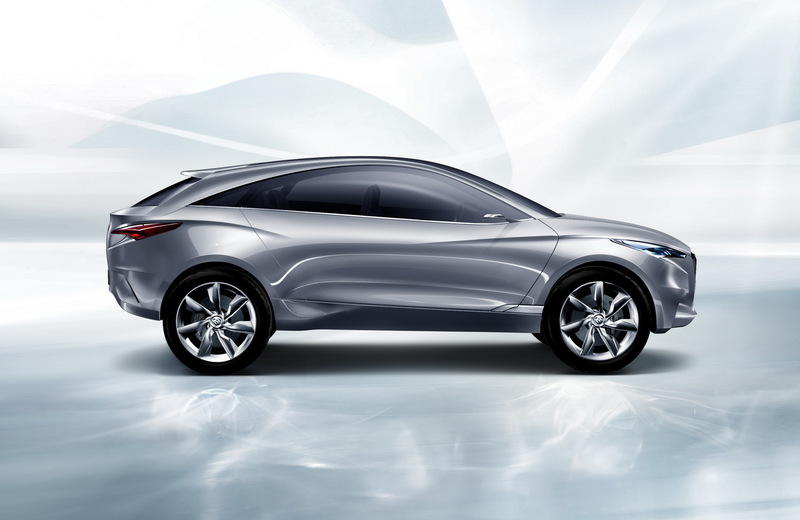 I think the Encore will come in 2013 as a 2014 model year. This is one of the greatest cars that I have even seen. If GM were to put this much love into every vehicle, they would be the envy of the world and on top of sales. 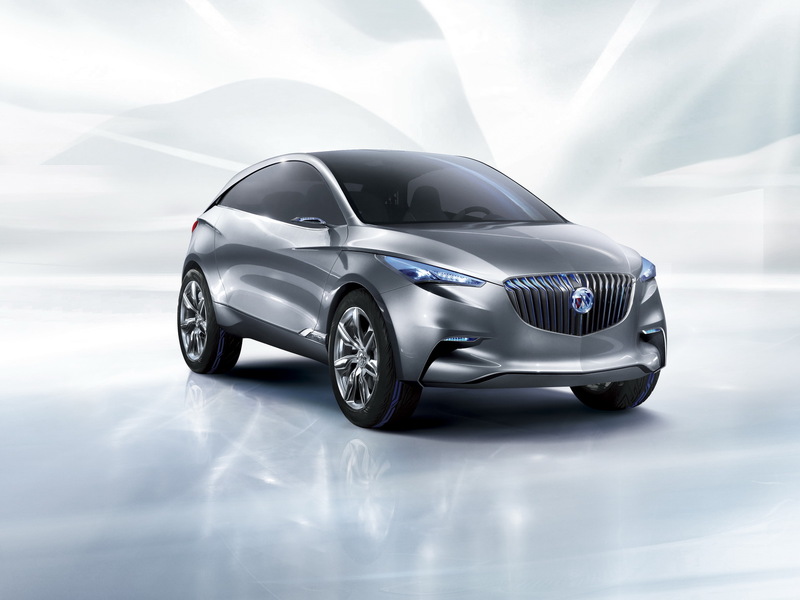 Buick in the US needs a unique crossover like this ASAP in the States to prove that this isn’t your Grandpa’s Buick anymore. Part of me does wish they would just rebadge these cars Chevy and go for volume. Nissan seems to be going all the way these days and The General needs to catch up!